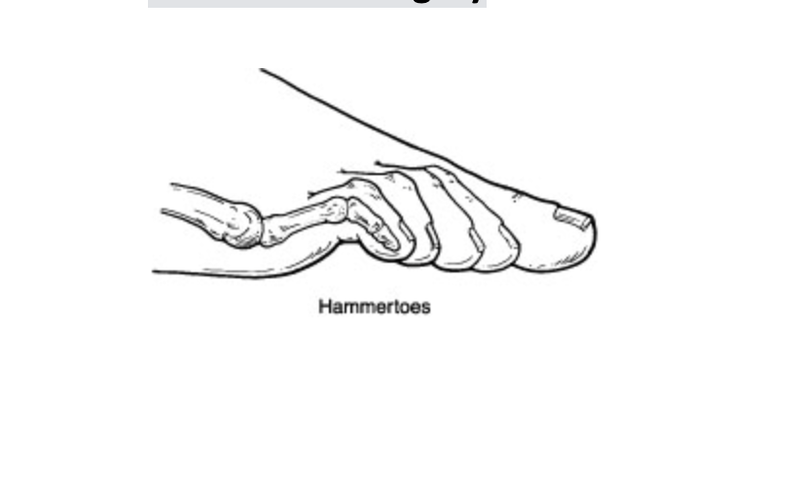 Hammertoes occur from contracture normally of the interphalangeal joints of the toes. These can occur in conjunction with other types of foot deformities like bunions or flat feet. These are fairly straightforward to fix surgically and have a very short recovery. One of the most important things I can encourage is to make sure other foot deformities are evaluated and treated. Normally the surgical procedure involves removing a small section of bone and pinning the toe for about 4 weeks. Most people are walking usually in a boot to protect the toes and physical therapy is not normally required. At the Bellevue foot surgery Center this procedure can normally performed and less than half an hour people often go back to work the next day. There are additional options for patients that don’t want third toes pinned, we continues internal splinting. Hammertoe deformity and wanted to discuss either conservative or surgical care we would be happy to review your options. If you live in Issaquah, Bellevue, Seattle, Redmond, Sammamish, Maple Valley and Renton please call us at 425–391–8666.